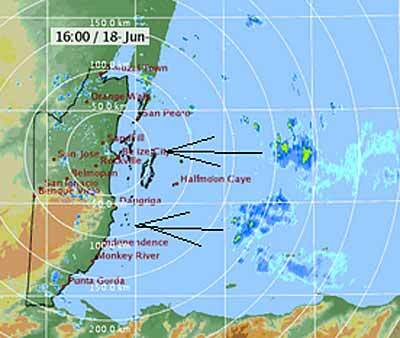 Belize NMS: Relatively moist and unstable conditions will continue today. 24-hour forecast: Sunny with cloudy spells today and cloudy at times tonight, and cloudy skies with sunny breaks tomorrow. A few showers will affect mainly northern and inland areas today, then mainly the south tonight. Isolated thunderstorms are also likely. Today: Winds: East 10-20 kts with occasional higher gusts. Seas: Moderate - rough. Waves: 4-7 ft. A few showers and isolated thunderstorms mainly north , decreasing. Tomorrow: Winds: East 10-20 kts with higher gusts. Seas: Moderate - rough. Waves: 4-7 ft. Isolated showers and isolated thunderstorms. Marine Outlook: Winds: East 10-20 kts with higher gusts. Seas: Moderate - rough. Waves: 4-7 ft. A few showers and isolated thunderstorms mainly south. General Outlook: (Thur & Thur night) Partly cloudy with isolated showers or thunderstorms, except for a few more in the south Thursday night. 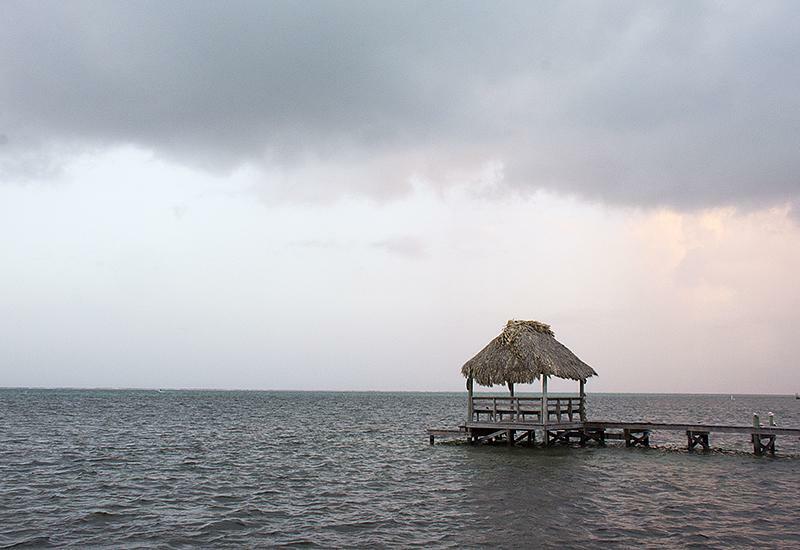 On Ambergris Caye this morning its calm with scattered showers and occasional rainbow. Our expected high is 87. The Radar stuck on yesterday morning again.. .. . But the weather does appear to be much clearer this morning, from observations. The Satellite s showing very little cloud in our area. .... But there is weather developing out of Aftrica. Finally got the Radar working again. . .. .Showing more Rain coming in from the Caribbean.